cutting edge storage solutions through our global network. In 2018, Gonvarri Material Handling was formed, after Gonvarri Steel Services acquired the Constructor Group comprising of Dexion, Constructor, Kasten and PSS. 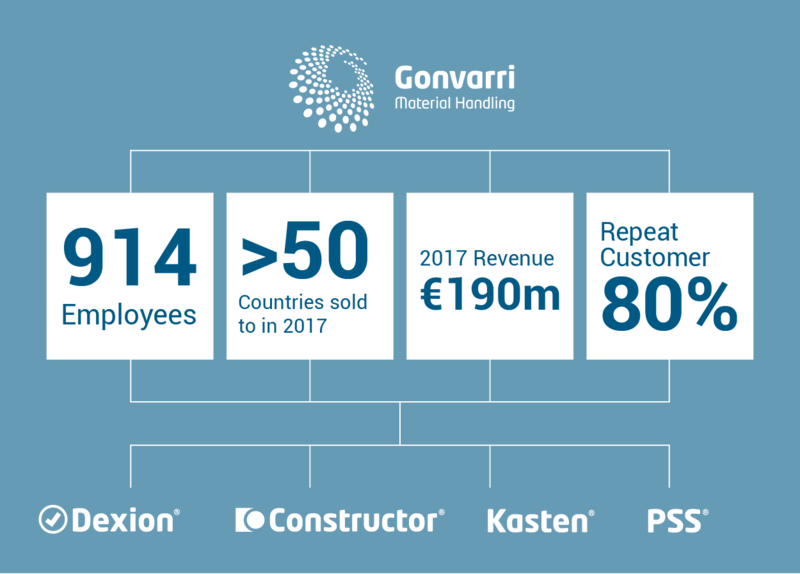 Gonvarri Material Handling comprises of the Constructor, Kasten, Dexion and PSS brands and is one of Europe’s leading engineering and manufacturers of storage solutions. Our reach is now worldwide and together with our regional partners, we’ve helped our customers with innovative ideas that ensure we always meet their needs, whatever their challenge.